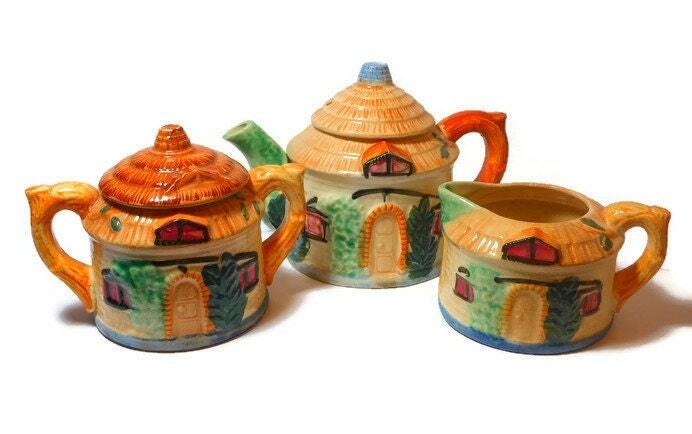 Hand painted tea set, 1940s cottage ware, made in occupied Japan, thatched cottage teapot, creamer and sugar bowl, English or Irish cottage! 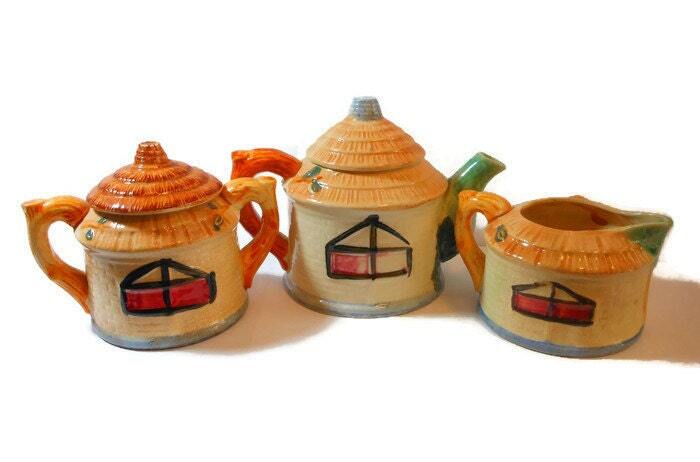 Perfect for tea lover, teapot collector, as a gift or for your own shelf! Imagine the compliments! Age appropriate crazing, which adds to the beauty. The teapot lid had a break which was carefully glued back in place (I had to look very closely to see that it was glued at all and not just a hairline crack). See last photo and zoom. There is some rubbing to the top of the sugar bowl lid. Other than the aforementioned the set is in very good vintage condition. Very bright and shiny, especially for its age. Japan was occupied from 1945 until 1952. I had this set for sale years ago at my brick and mortar bookstore. After it closed I packaged these up and put them in the attic. Now they are ready for your enjoyment! 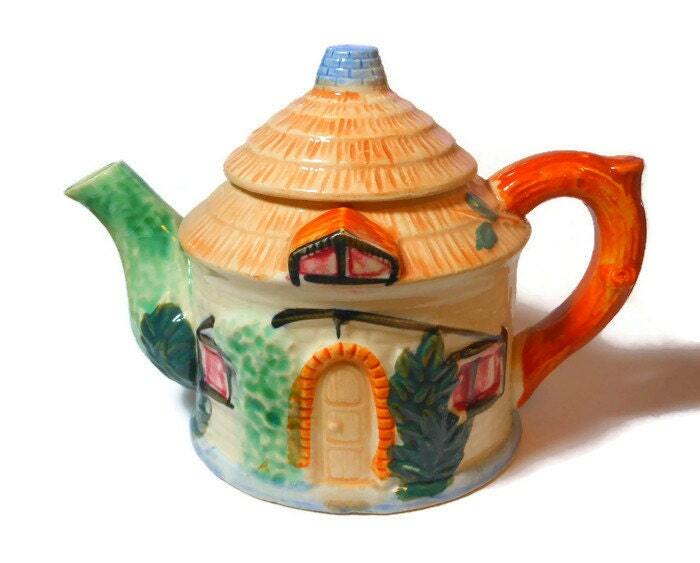 The teapot measures 7" (15.2 cm) from spout to the end of the handle and is 4 1/2" (11.4 cm) tall. 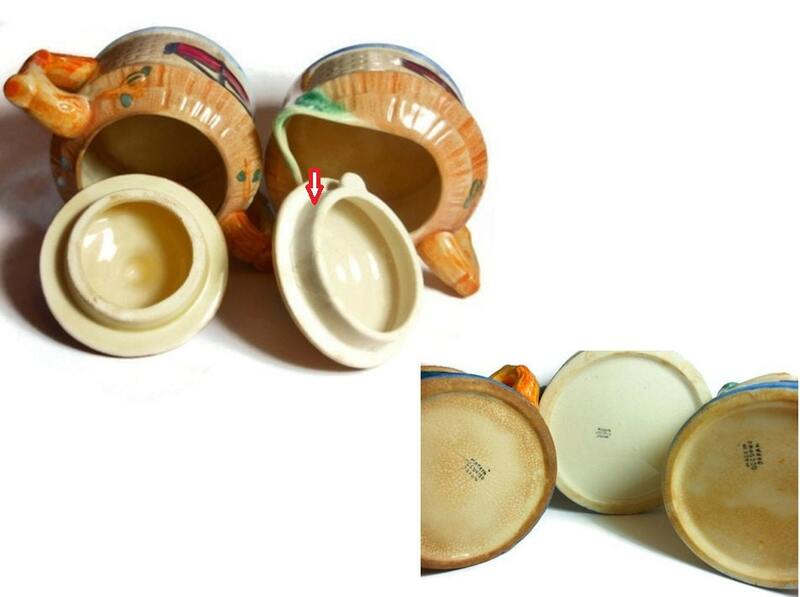 The sugar bowl is 3 3/4" (9.5 cm) and is 5 1/4" (13.3 cm) wide. 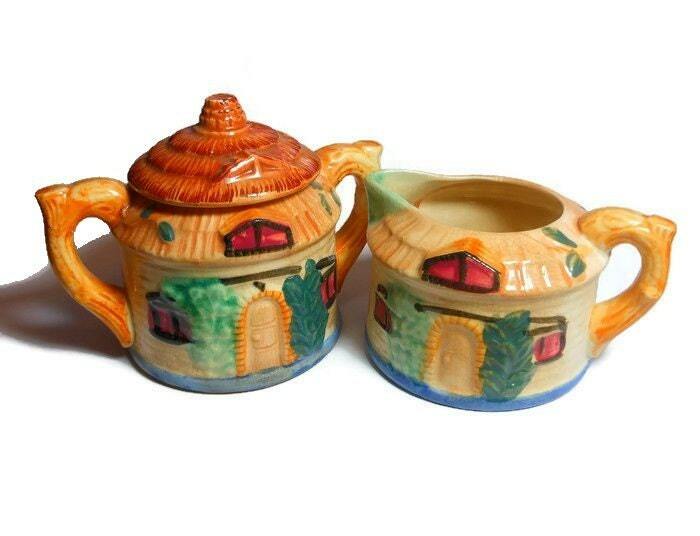 The creamer is 4 1/4" (10.8 cm) wide and is 2 1/2" (6.4 cm) high.